Sailing is an experience like no other, but the location can certainly enhance the joy of that experience. There are so many places to sail all around the world, but here we will list three of the best sailing locations in the world. 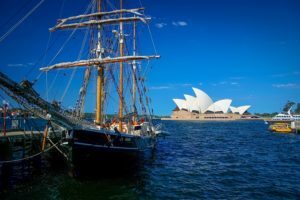 Thailand, Greece, and Australia are three breathtaking destinations that take the sailing experience to a whole other level. 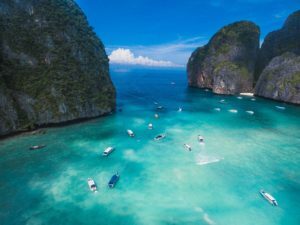 Thailand is known for its tropical beauty and breathtaking areas such as Phang Nga bay, where limestone cliffs tower above the water and the waters are crystal clear. Sailing these areas allows people to explore hidden lagoons surrounded by the lushly forested limestone walls and white sand beaches while watching the sunset with towering islands in the distance. 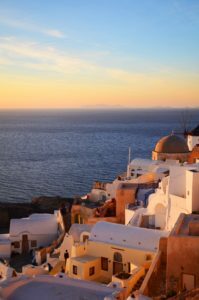 Greece has thousands of islands ranging from 1,200-6,000, each unique in its own way, making every port stop feel completely different from each other. The Ionian islands are off the west coast of Greece and are known to be the most beautiful islands in the Mediterranean. The Dodecanese islands are another popular sailing location in Greece and are located in Southeast Aegean. These islands are known for their clear beaches and historical religious monuments. Australians take advantage of their winds out in the water to explore the country’s coast and waterways. On the eastern coast of Australia, you will find the beauty of Moreton Bay, which is an extensive waterway of more than 1,500 sqaure kilometers. North and South Stardbroke island, together with Moreton and Fraser island form the largest sand structure in the world. Another popular sailing destination in Australia is the Whitsunday islands, which offer some of the most beautiful cruising in the world. These islands make up the largest offshore string of islands on the east coast of Australia. These beautiful islands with subtropical climate attract over half a million visitors every year. These three destinations are only three among the many places worth exploring to sailing. The experience of sailing and captivating life’s beauty will make for unforgettable memories that you can cherish for the rest of your life. Sailing is an adventure that can be enjoyed alone or in the company loved ones and something that should definitely be done at least once in a lifetime.